The Boeing 777X folding wingtip will see plenty of action in one of the world's busiest airports. International Airlines Group, the parent company of British Airways, announced intentions today to purchase up to 42 777X airplanes, including 18 orders and 24 options. The post British Airways picks 777X as 747 replacement appeared first on Wandering Aramean. read more "British Airways picks 777X as 747 replacement"
By now, anyone even remotely interested in tech has probably heard about the Mate X—Huawei’s fantastically expensive bendable phone that despite launching second, somehow managed to steal the spotlight from Samsung’s Galaxy Fold. read more "The Huawei Mate X Is Even More Exciting Than You Think It Is"
For the first time scientists have demonstrated how the brain washes away toxic proteins during a specific phase of deep sleep. The study builds on a growing body of evidence suggesting chronic sleep disruption could play a role in the onset of Alzheimer's and dementia. read more "Deep sleep may be crucial in clearing toxic Alzheimer’s proteins from the brain"
read more "Elon Musk: Expect a cheaper Tesla in '2 - 3 years'"
The world’s highest capacity undersea cable could be capable of speeds that are 20 percent faster than thought theoretically possible. A recent experiment using 16QAM modulation achieved record transfer speeds of 26.2 Terabits per second on a 4,000 mile transatlantic cable jointly owned by Facebook and Microsoft. This represents a 20 percent improvement on the 20 Tbps each pair of the cable’s eight optic fibers was originally thought capable of, according to the team of researchers from Infinera that conducted the test. 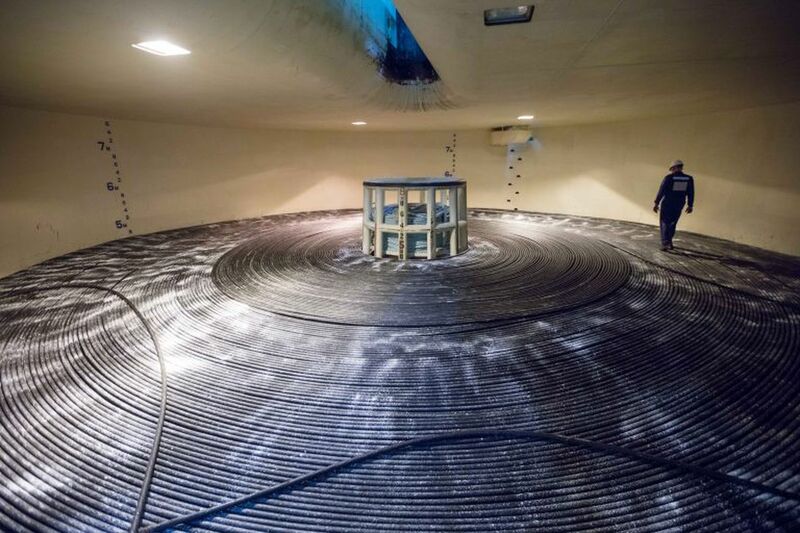 read more "Microsoft and Facebook’s record-setting undersea cable sets another record"
The post Energizer’s New 18,000mAh Battery Happens to Include an Android Phone appeared first on ExtremeTech. read more "Energizer’s New 18,000mAh Battery Happens to Include an Android Phone"
Yesterday gave us a closer view of the Samsung Galaxy Fold. Of course, there were still a plate of glass, a security rope and a few feet between us and the device. 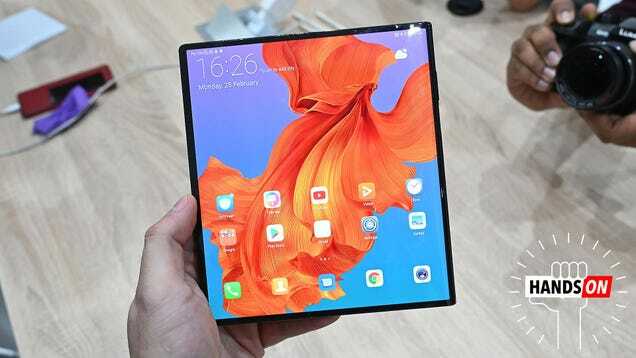 Huawei, thankfully, was a bit more willing to grant us access to their own foldable, the Mate X at a closed door meeting earlier this morning. In this case, that mostly means knowing the limitations of what the near-final product can actually do. For now, that means web browsing, some photography and opening up Google Maps — which, to be fair, comprises a fairly large chunk of what people will actually be doing with the product. That said, there’s a lot to account for with a new form factor. After all, phone makers have gotten really good at working with a defined two-dimensional plan, a decade after the introduction of the first iPhone and Samsung Galaxy device. Folding, flipping and bouncing between screens presents all sorts of new challenge. That said, in the demo at least, things seemed pretty smooth here. The device was pretty responsive in a less controlled environment than we’d previously seen it — or, for that matter, the Fold — in. There were few moments and some blank screens for half a second or so, however, when the apps had to jump screens. All of which is to see the Mate X is real. I’ve seen it, and am so far pretty impressive with the execution. The product design, too, is quite well thought out. The product is surprisingly thin both folded and unfolded, and elements like the fold over camera lip, which offers a place to grip (a la the lip on the rear of the Kindle Oasis) are nice touches. 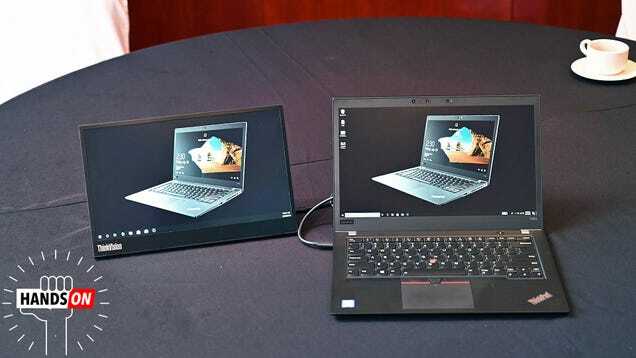 The screen, too, looks quite nice at first glance. That said, as with all of the foldable we’ve seen to date, capturing a glare from overhead light picks up crinkles on the display, along with a large seam in the middle, where the device folds over. You can’t feel them with your finger as you glide over to touch, but it’s easy to imagine how messy all of this could ultimately look after a few years of use. The system also works when folded at a 90 degree angle, which could prove useful for future executions that Huawei is looking into. It’s clear that this is just the beginning of not only the form factor, but practical applications. It’s going to be watching developers figure out all of the stuff they can do with the product. That “still early days” approach also to price point. Huawei acknowledges that the device is prohibitively expensive at ~ €2,200. That price includes the design to add 5G to the product — notably, there is no non-5G version planned, unlike the Galaxy Fold. That will no doubt make the Mate X even more of a niche product, until the next-gen cellular service rolls out for more users. In a way, the Mate X is a proof of concept — albeit proof that the thing can be relatively mass produced. At double the cost of a high-end flagship, I don’t expect the company plans to sell a lot of these, but the more it’s able to scale, the lower the price will ultimately be. read more "Huawei’s folding Mate X: a closer look"
read more "EV batteries are born in Chilean evaporation ponds"
We knew foldable phones would be one of the smartphone trends of 2019, but we're now starting to see the actual devices appear: days after Samsung took the wrappers off its Galaxy Fold phone, Huawei has been showing off its own foldable Mate X handset at Mobile World Congress 2019.
read more "Huawei unveils the foldable Mate X phone, complete with 5G"
read more "Lenovo's External USB-C Display Could Be on Every Laptop User's Wishlist"